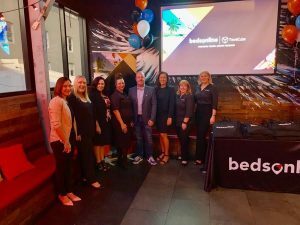 Bedsonline, the leading global provider of accommodation and complementary travel products exclusively for travel agents, has hosted a series of customer events in Australia to celebrate the launch of a new brand identity and website. At the events the Bedsonline sales team provided a short presentation of Bedsonline’s new 360 degree value proposition, highlighting how the company is committed to being the ultimate partner for travel businesses. As part of the integration of TravelCube into the Bedsonline platform, the Travelcube platform will be phased out in the coming weeks in Australia, so all retail travel agents’ new bookings should be completed on the Bedsonline platform – whilst existing bookings will remain accessible and modifiable on the TravelCube platform (based on the terms and conditions of the reservation on the TravelCube platform). 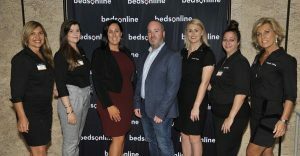 Peter Jones, Regional Sales Manager, Pacific at Bedsonline commented: “I am very pleased to have this opportunity to celebrate the launch of a new Bedsonline with our loyal clients in Australia! The turnout at both events was fantastic and I want to thank all our partners for their support. “For some time now we have been speaking with our customers to explain to them how they will benefit from these changes. Overall the feedback about the new enhanced offerings, improved payment options, operational support and enhanced sales team of 14 frontline account managers have been very positive – and we feel certain that this will help our Australian travel agents to boost both revenues and profits. 1) Diverse and competitive product portfolio: over 180,000 hotels globally available (with over 90,000 of those directly sourced, making the content both unique and competitively priced), 24,000 transfer routes and 18,000 activities, PLUS 140,000 cars available for hire – all sourced by a team of over 1,000 contractors globally. 2) Powerful and user-friendly technology: best-in-class search engine designed specifically for the needs of travel agents allows users to filter and compare results in a flexible and practical way, including intuitive email and PDF functions – 70% of existing customers cite the platform as a top factor in choosing the service. Bedsonline’s parent Group is the only distributor to operate its own cloud-based, open source data centre and handles up to 1.5 billion searches per day.